Individual monthly results were collated for every event, dating back to 2016. The accessible documents below display best performances for every Ashford AC member for each month. The lists also outline whether the athlete achieved a personal best or Club Record. Overall monthly and yearly results dating back to 2016 are available below. Verifiable performances achieved at bona-fide competitions under UKA rules have only been included, where the level of officiating was of a consistent standard. 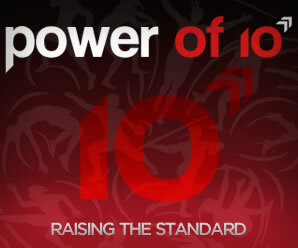 Performances must have been subsequently verified through the Powerof10 or RunBritain. Results from sports days and the annual Ashford & District Schools' Athletics event were not included.